7.2. 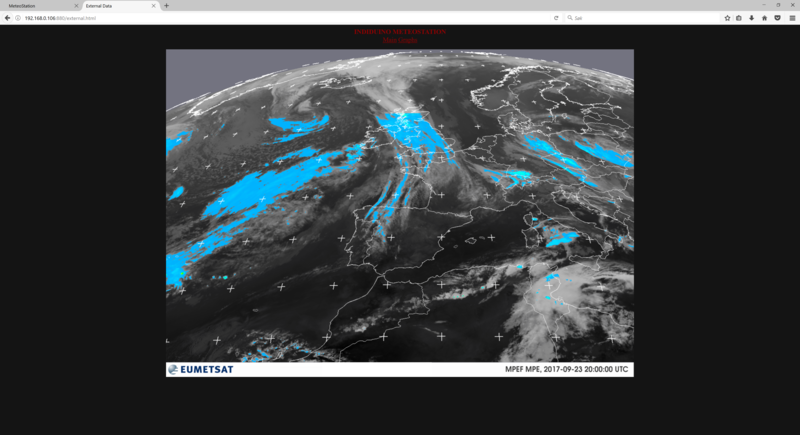 Copy the meteostationWEB folder to your home directory. 7.4. 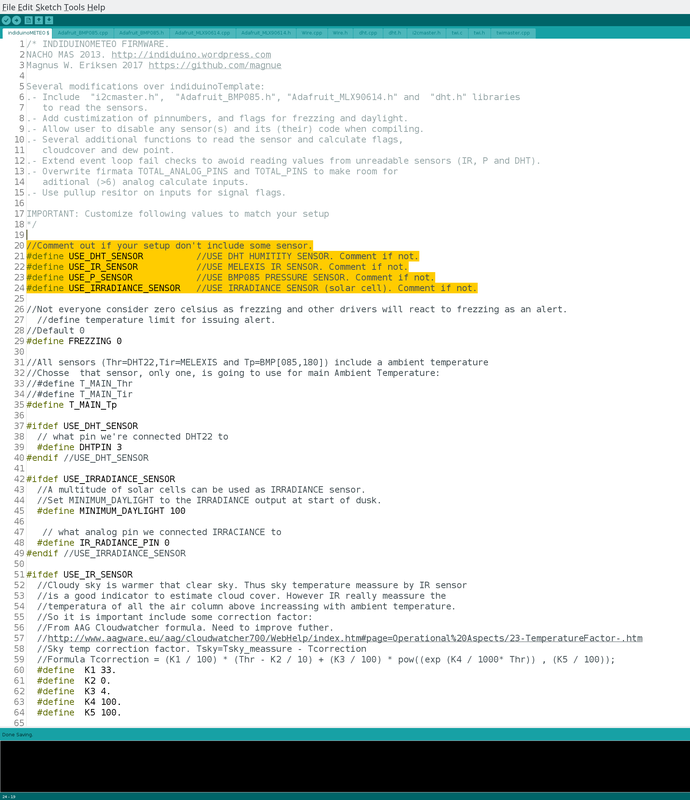 Create symlink to html directory. 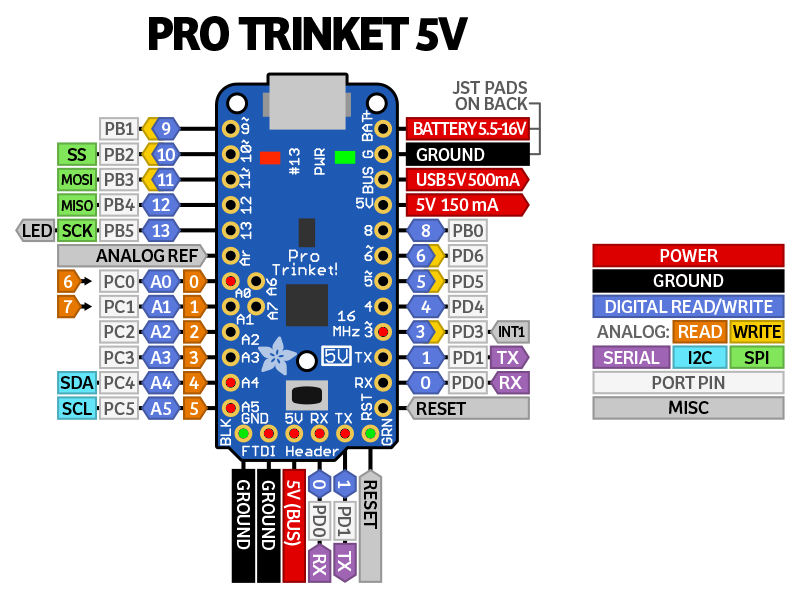 First you must set up the Arduino IDE with the Adafruit Pro Trinket board configuration. Follow the steps on Adafruit’s web page to add the boards. If you are using a FTDI cable with no software reset, you can skip adding the port. 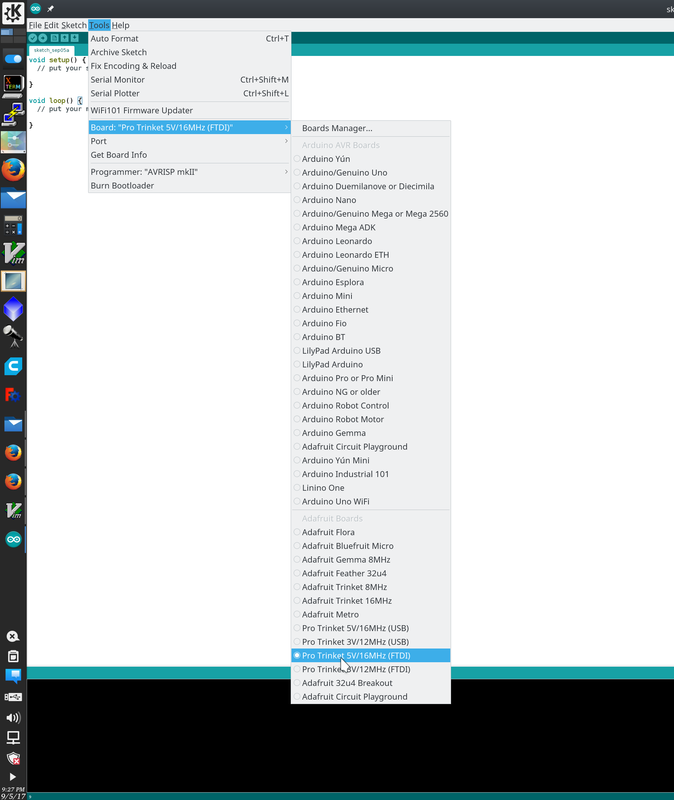 When you want to upload the firmware, start off by compiling the sceatch [Ctrl + R] then connect the USB to FTDI dongle to your pc and hit [Ctrl + U] to upload. The IDE will autoselect the /dev/ttyUSBX port. If the autodetect fails, then connect the dongle, select port and short out the ground and reset pin on the FTDI header. 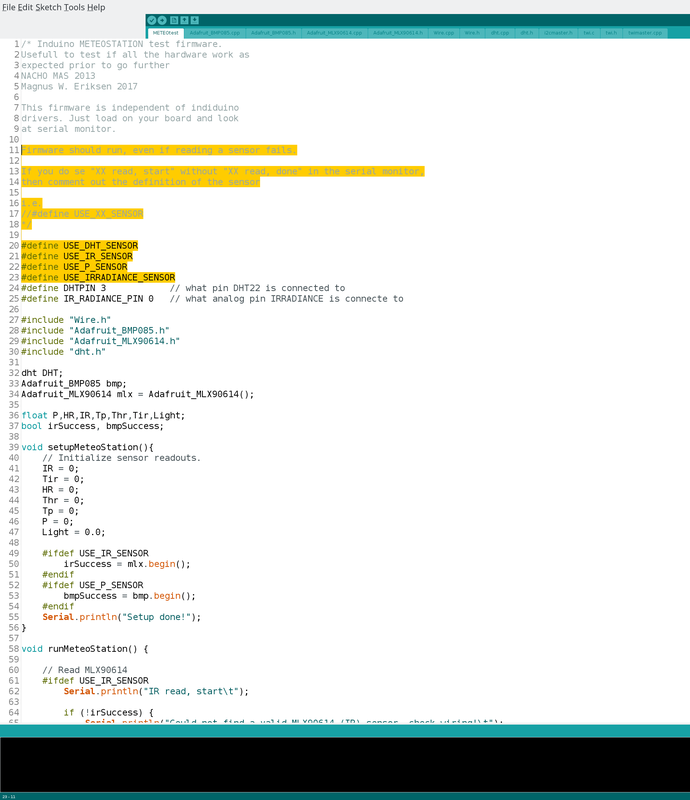 This will reset / reboot the arduino and put it in upload mode. The pins being used is marked out with red centers. The pins with green centers are the FTDI reset pins. This will reboot board and put it in upload mode. 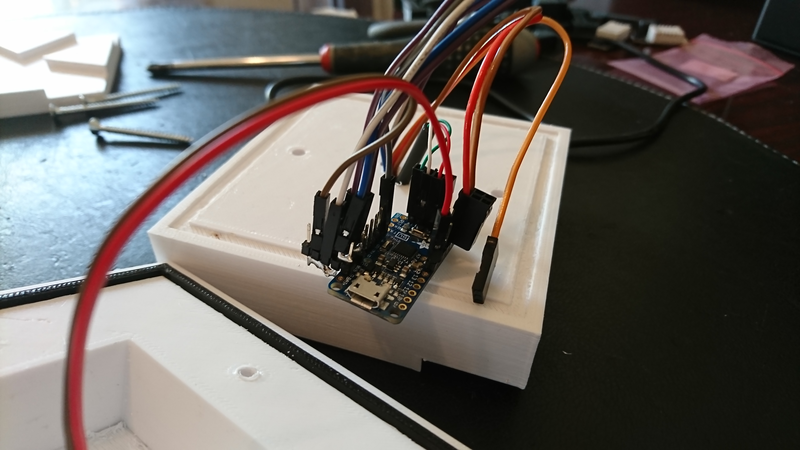 If you are building this device with the hardware used in this tutorial, you will not need to change any pinnnumbers in the firmware. For links to the hardware being used, see the last section of this tutorial. 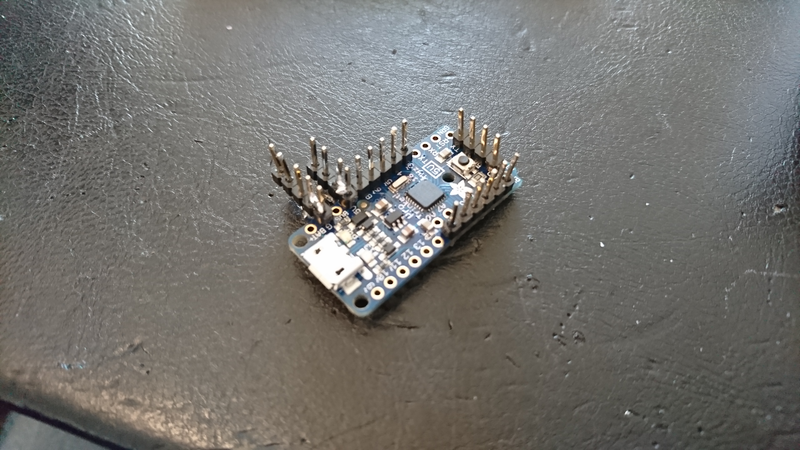 When setting up for the first time I woud ideally just sodder the pins on the underside of the arduino, place it on a breakout board and have easy access to test the sensors. I ended up by soddering on some of the pins and using wires with connectors. Before completing the build I did have to remove the pins I added for gnd and +5v and sodder the wires, as it was using to mutch space. If you see a output like this, the you are good to go. Double check that the sensor values change when you subjet them to temperature, light and humidity changes. 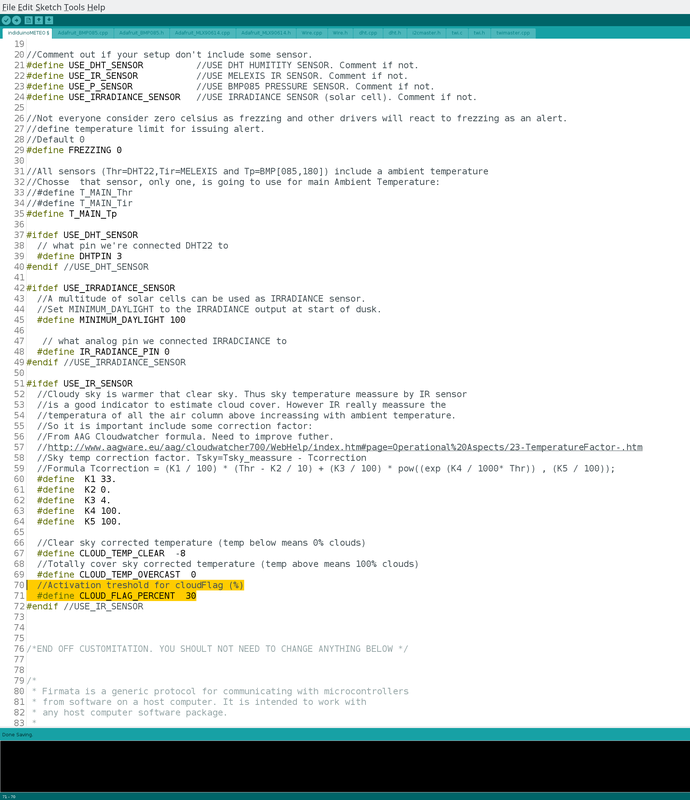 If you see no output at all, then the firmware might have crashed before you connected the serial monitor. To verify that you have compiled and uploaded the firmware correctly, then comment out all the #define USE_*_Sensor and upload again. 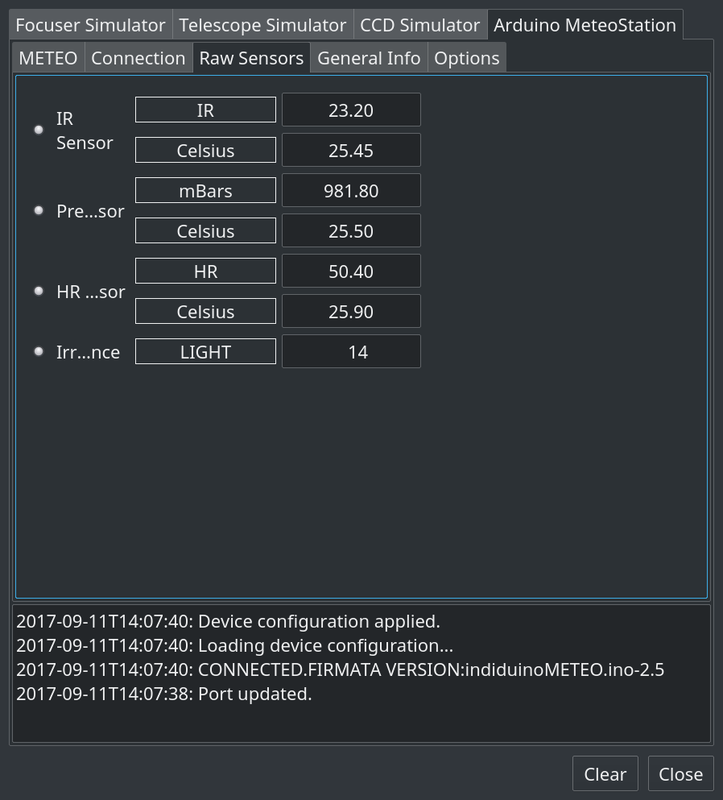 If you see a output in the monitor with (X sensor skipped, not defined, ending with a RESULT with all 0 values), then you can start adding the sensors back, until you see witch fails. When the failing sensor is located, then it’s just a matter of checking wiring and pinouts. If you are not using the default pins, then they can be changed in the firmware. You do not need to edit anything else in the firmware! 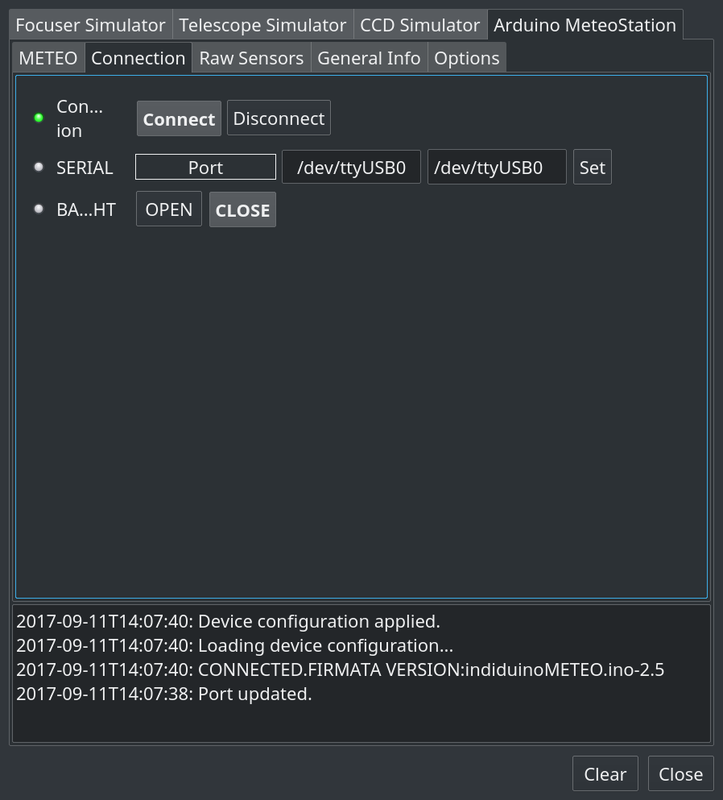 The compiling and upload part of this is the same as for the meteoTEST firmware, but there are more configuration that can be done. Let’s start off with the sensors used. I do recomend that if you are for some reason not using a sensor, then comment out the definition of it. Below 0 celcius is of cource considered frezzing, but you can change it. I’m imaging in Norway and most of the time during winter, the temperatures will be below 0 degrees. 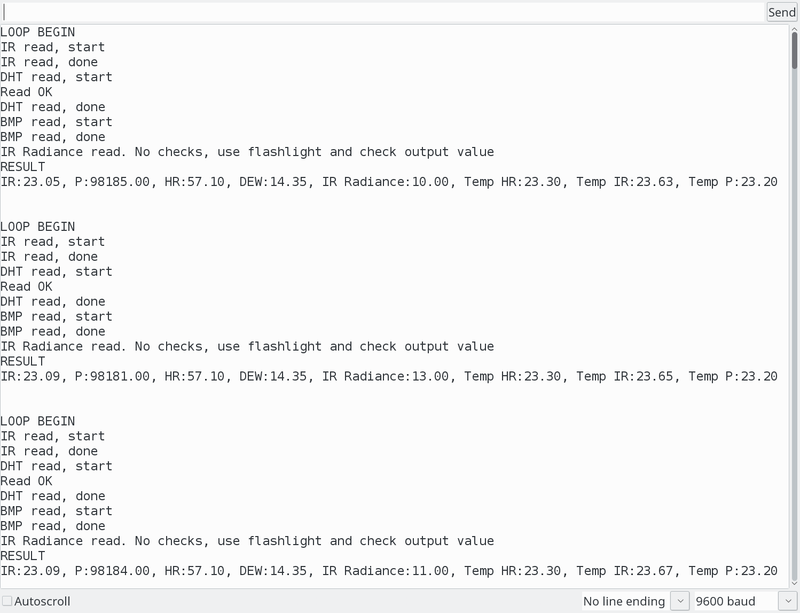 When the firmware detects temperatures below the set value, then the frezzing pin will be set to true. As this is an alert in the indi_duino meteo driver, then clients will react to unsafe eather conditions. I will set mine to -10, but you know best what you need. 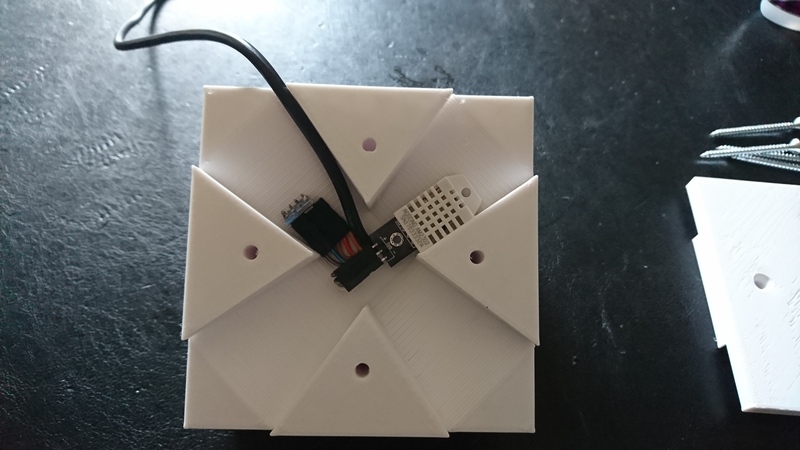 Next is to select witch sensor we should use for ambient temperature. In my installation i found that the BMP 180 gave the best result. You should in most cases be good by leaving this as it is. Using a different pin for DHT22? Then update here. As there are many options of small and low power colar cells, then it is not possible to know what reading yours will have when the sun is setting. To get the correct value for this, then simply check the readout of the irradiance sensor, just after the sun sets under the horizon. 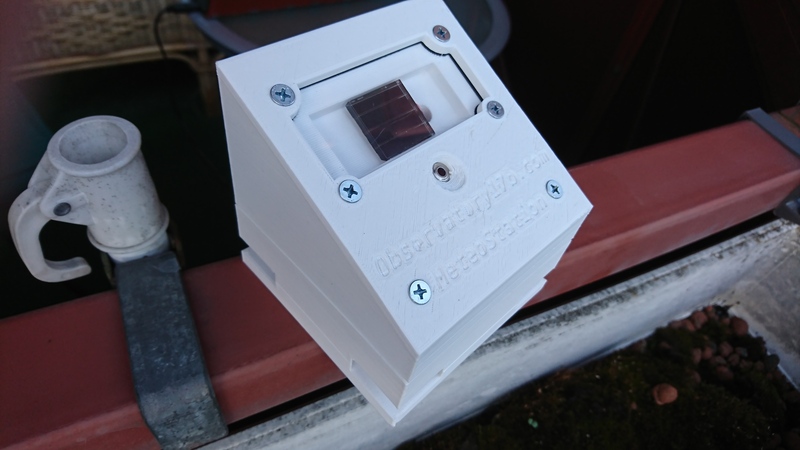 This will give you a Daytime alert in the meteo driver, so you know not to open your observatory roof (and or dustcap). Using a different pin for Ir radiance? Update accordingly. If you are either reading a cloud cover when there are no clouds visible to the sensor, or you have a full overcast with the sensor reporting less than 100% clods, then you can edit this. Depending on your use, you might want a clouded warning when it’s more than 15% clods, or you might be happy with less than 50%? Edit this value to customize the alert (cloud flag). If you want to start the driver on localhost you will need to create a FIFO file and select the correct skeleton file. This oneliner should get you started. It first stops indiserver. Removes any old FIFO file. Creates a new one. 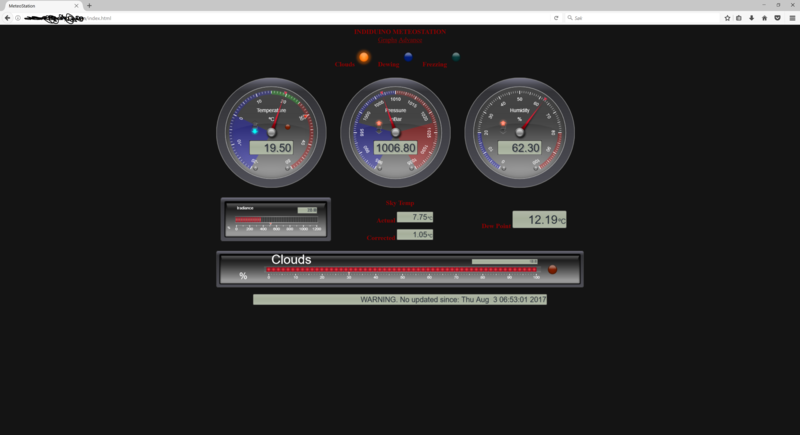 Starts indiserver with the FIFO file and the indi_duino driver as MeteoStation with meteostation_ks.xml skeleton file. After starting select the correct port in ‘Connection’ tab. 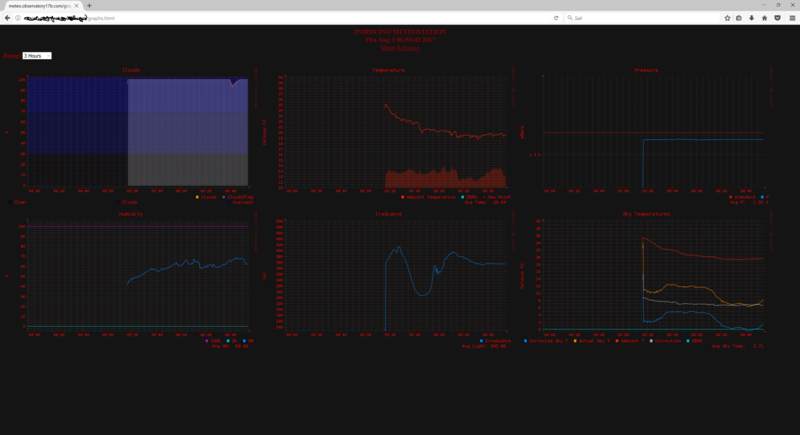 Double check that all sensors report a value in the ‘Raw Sensors’ tab, and the METEO tab should show you the current weather state. If you have fields in the METEO tab without any data, and you have confirmed that meteoTEST is working, then considure this. 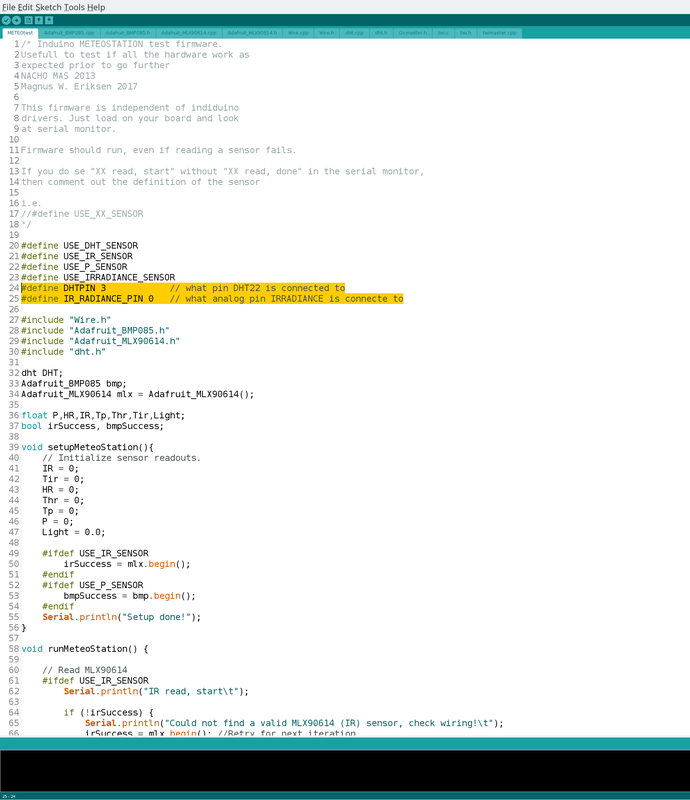 The numerical data sendt from the arduino to the indi_duino driver uses some ‘virual’ analog pins. Analog pins in arduino has a name pin A0 to An, and these could be mapped differently on your arduino if you are not using a Trinket Pro. Change the pinnumbers in /usr/local/share/indi/meteostation_sk.xml for numeriacl values, to match your pinmapping. This section assumes you have the basic Apache installation up. You do not need any ssl, as there is no login on the meteostationWEB page. I will also assume that you are on a distro with python installed. To get meteostationWEB up from here, then. 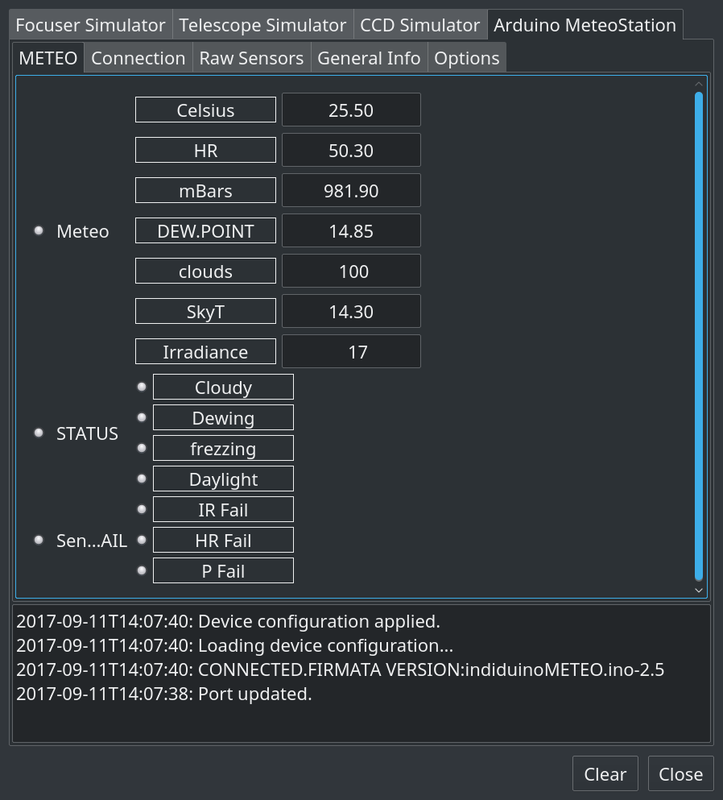 You should now edit the file ~/meteostationWEB/meteoconfig.py and set your defaults and indi connection options. 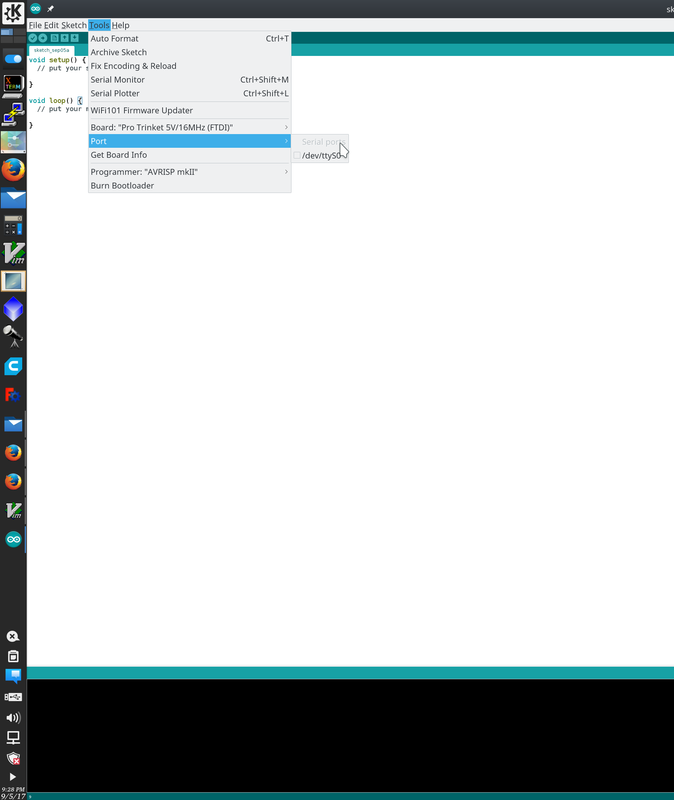 For connecting to, and starting indiserver on localhost, there are no need to change connection settings. (You should allways comment out the configs not used). To start and connect to indiserver on any remote host, with ssh passwordless keys and up to date indi. 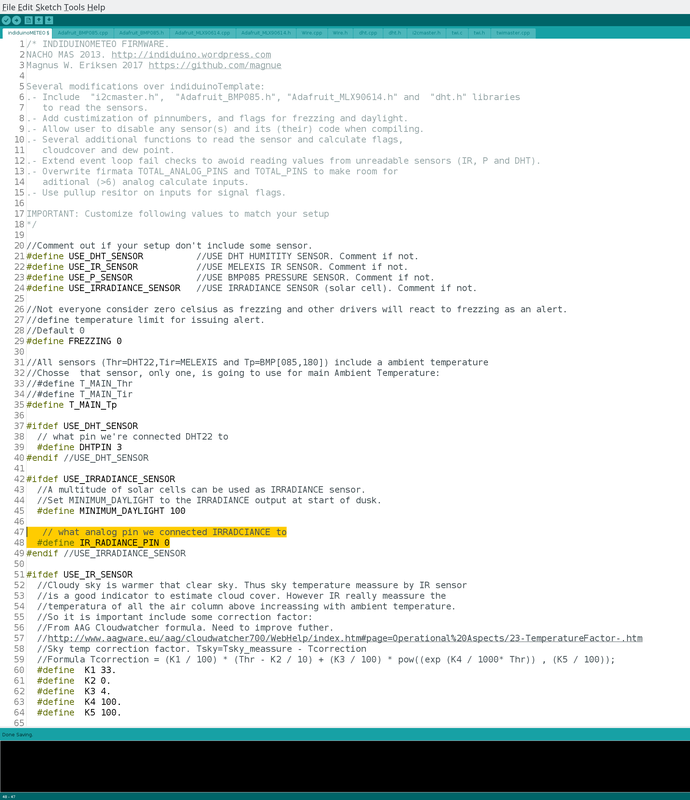 To connect to indiserver running on any other host with, ssh passwordless keys enabled. Mostly the same settings as #3). And finnaly for connection, you should set the path of your ssh key, and your ssh host username, (if you are using ssh). You should atleast set the site related defaults. The RRD Related options is for the Advanced tab, to get expanded weather for your area. The index shows the current METEO status. Graps of METEO data, ranging from 3 hours to 1 month back. If you do not have a 3d printer, you can get the parts printet trough a service like 3D Hubs. 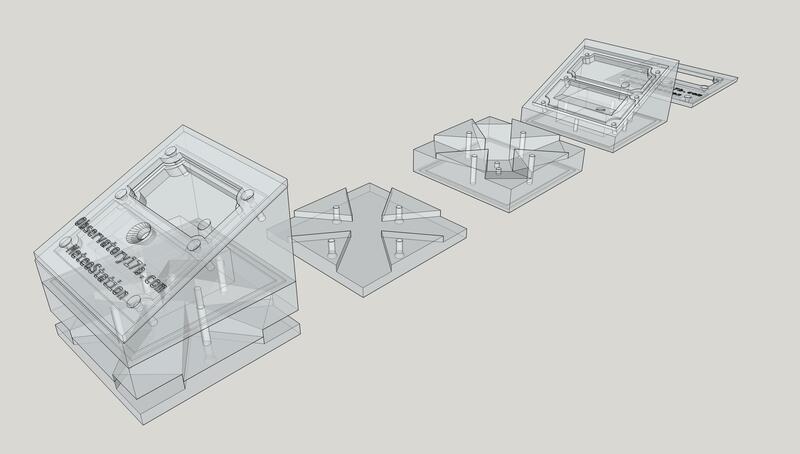 You need approximately 125m of PETG, 2.65m of TPU and 1.25m of PLA to print this housing. Where there are several versions for one part, allways print the one with highest version number. Sensors for temperature and humidity goes in the ‘wind tunnel’ betwean the bottom and middle part. 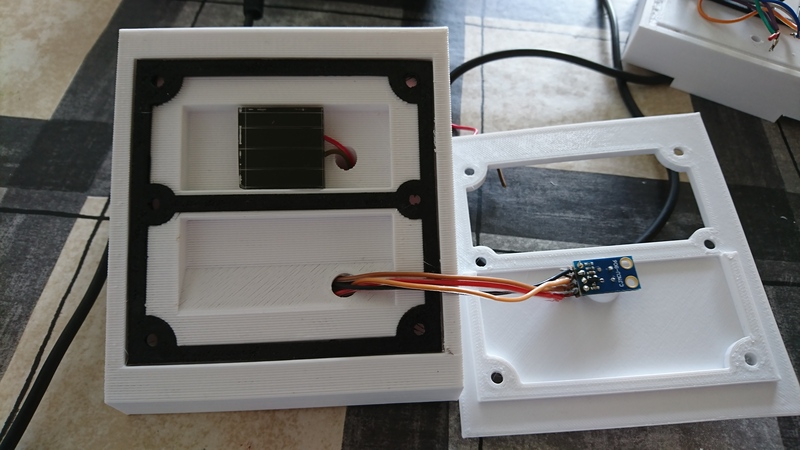 IR Radiance sensor mounts under the acryllic glass, and the IR sensor in the opening of the top part. You need 2mm thick 9x5 cm acryllic perspex glass, that can be worked on with wood tools. 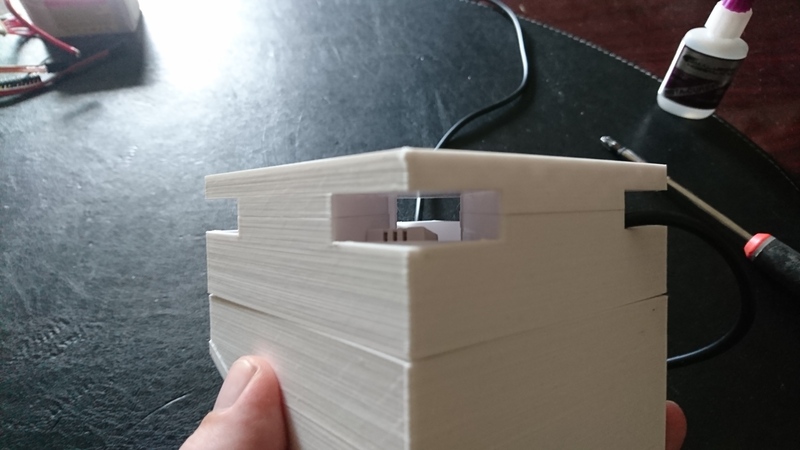 Use the part MeteoStation-windowTemplate printed in PLA as a guide to cut the glass to size, and cut holes.